Managers Matt Norman and Saundra DuCross are offering fine dining and nightly rates, attracting visitors who come to Bristol Bay for a variety of activities. 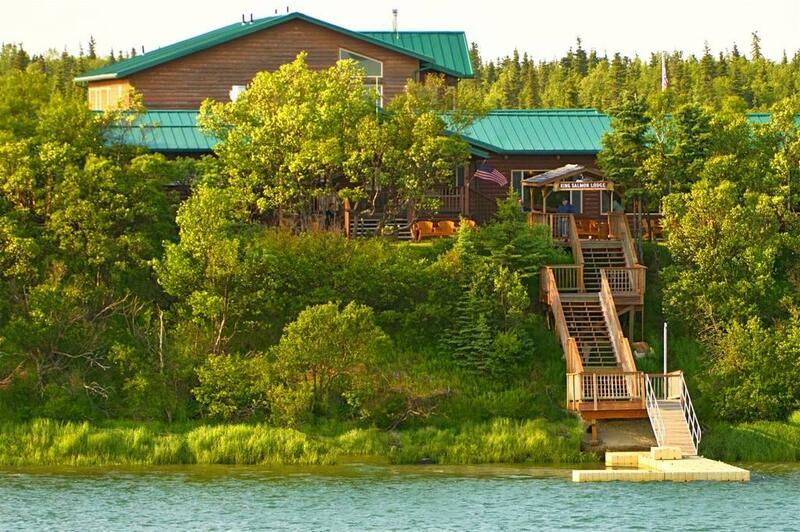 The King Salmon Lodge sits perched just above the Naknek River, in the heart of Bristol Bay's bustling summertime activity. Downriver, commercial fishermen haul in sockeye by the millions. Upriver, anglers target kings, coho, and giant rainbows, and visitors are a flight away from famous Brooks Falls in Katmai. This story originally aired on the August 21st Bristol Bay and Beyond. Although it's trickier to get to than some other Alaska destinations, Bristol Bay attracts its fair share of tourists, mainly in the summer season. While many of them come for the world-class sportfishing, others come to float rivers, photograph bears, and even just sightsee while the commercial fishing industry is booming. Just down the road from the King Salmon Airport, where thousands begin their visit in the region, Matt Norman and Saundra DuCross are trying something a little new for the Bristol Bay tourism industry. At the King Salmon Lodge they've managed for three years, the couple are offering nightly rates, fine dining, and guided activities across the spectrum of things to do here.